Kenar D. Jhaveri, MD, is Professor of Medicine and Associate Chief in the Division of Kidney Diseases and Hypertension at the Hofstra Northwell School of Medicine in NY. He completed his residency training at Yale University New Haven Hospital in Internal Medicine and then a fellowship in Nephrology at New York Presbyterian Hospital-Weill Cornell campus. Dr. Jhaveri’s clinical interest is in glomerular diseases and taking care of patients with renal complications following bone marrow transplantation and chemotherapy (OncoNephrology). He is one of the founding members of ASN’s workgroup on Onconephrology. 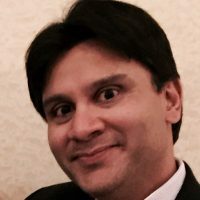 He is a columnist for the ASN Kidney News for the section called “Detective Nephron.” His interest in nephrology education is vested in using creative ways of teaching nephrology to medical students, residents, and fellows. 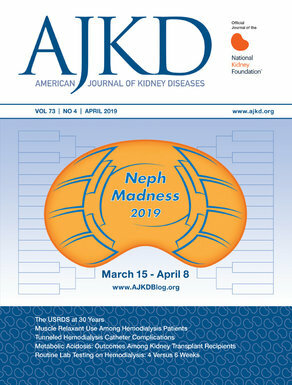 He has published on onconephrology and also in using social media and other innovative tools (games, concept maps, role playing, creative writing) to make nephrology a fun and exciting field. He has conducted numerous faculty development seminars locally to teach these techniques. His most recent projects are in learning about renal toxicities of targeted oncological agents.He continues to have interest in novel ways of sharing information that can make an impact on all fronts—physicians, allied health staff, and the patients. He has a teaching-oriented blog called NephronPower. Read Dr. Kenar Jhaveri’s posts.